Budding singers from around the world showcase their talent as solo performer or in a group to emerge victorious. 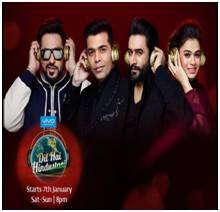 Dil Hai Hindustani is an upcoming Indian Television Singing Reality Show on Star Plus Channel. This Show is Judges by Karan Johar, Baadshah, Shekhar Ravjiani, Shalmali Kholgade. The Show is First season of Dil Hai Hindustani. It is will be produced by Ranjeet Thakur & Hemant Ruprell’s Frames Productions. This show Launch on 7th January 2017, Sat-Sun 8:00 PM. The Dil Hai Hindustani Audition start Soon. 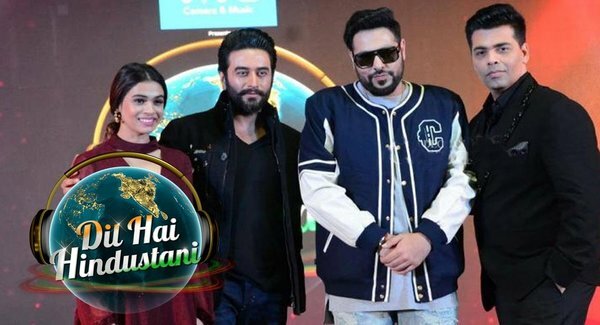 Star Plus is all set to the redefine singing reality Shows on television with Vivo Camera & Music presents 'Dil Hai Hindustani', which launches on Saturday, January 7, at 8 pm. With performers & singers from not just India but across the globe, the show will see solo, duo and groups competing on the same platform. The uniting factor of course will be their love for Hindi music.